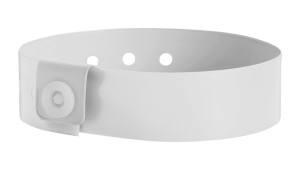 Complete with one-time locking strap for extra security, customize with logos, graphics & text. 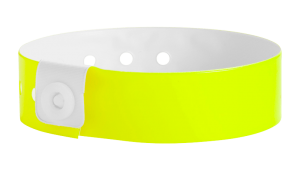 Looking to turn some heads? 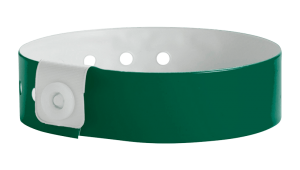 myZone Canada’s custom vinyl wristbands can be decorated with logos, graphics, text, and more. Complete with all the security features of our standard vinyl bands, these custom vinyl wristbands are the perfect way to manage secure admissions and showcase your brand. What’s more, we ship to anywhere in Canada! Multi-Color Imprinting: Great for detailed logos and multi-color imprints. 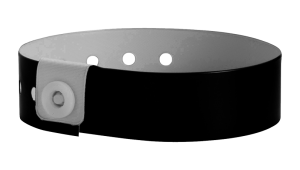 One Color Imprinting: Cost effective as well as eye-catching, one color imprinting allows you to customize your wristbands for brand exposure and increased security without a large upfront cost. Removable Stubs: Available in 1, 2, 3, 4, 5, and 7 removable stubs or cash tags. Fully customizable with logos, graphics, and text – great for tracking drinks, food vouchers, tokens or whatever you need! 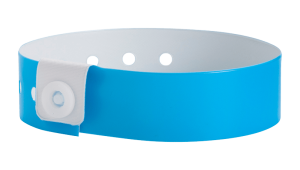 Don’t want to customize your vinyl wristbands and what even faster delivery? Check out our plain vinyl wristbands!